Prior to lapsing into darkness two years ago, Djoulde Sow and her husband herded cattle in a small village in Mali. In addition, they have a young son to care for. After she developed cataracts, she could no longer walk, wash or work alone. She could no longer see the faces of her son and husband. In short, life became intolerable. 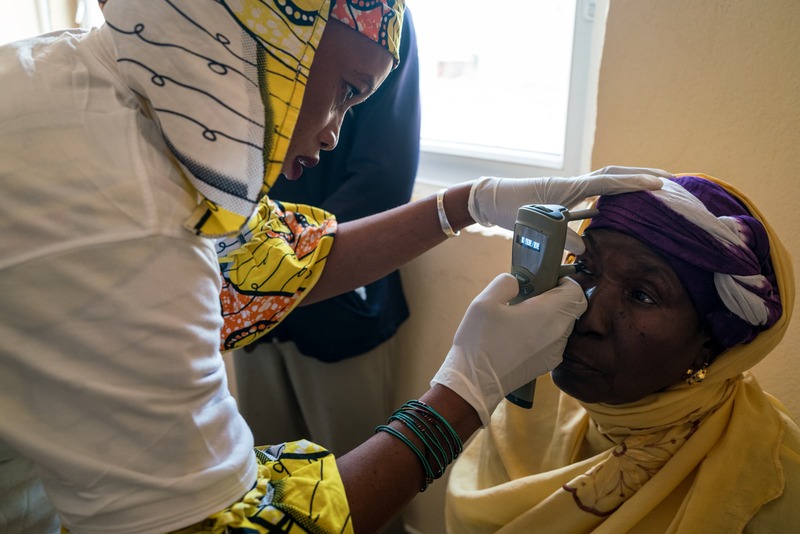 Her condition is sadly common in Sub-Saharan Africa, where a host of environmental and man-made conditions, such as an absence of medical professionals, contribute to 6 million of the region’s inhabitants developing cataracts. This affliction is debilitating but entirely treatable. Earlier this year, Djoulde left her village in search of a solution, one which Embrace Relief provided. 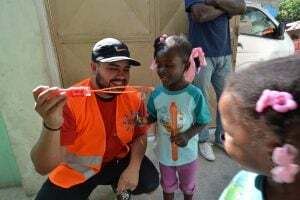 By operating a mobile clinic to reach remote locations, the organization has conducted over 2,100 cataracts surgeries and 21,000 health screenings, restoring independence in addition to sight. Thus, Embrace Relief has aligned itself with the UN’s 17 Sustainable Development Goals, specifically Goal 3: Good Health and Well-Being. With a simple procedure funded by Embrace Relief’s generous donors, Djoulde’s life became livable again. Additionally, she regained life’s greatest gifts: The sight of her family, employability and the opportunity for happiness. You can help someone today by donating to our cataracts campaign. Your contribution will enable Djoulde – and others like her – to reclaim their lives. To support Embrace Relief’s Cataracts Campaign, Click Here. Learn more about SUSTAINABLE DEVELOPMENT GOAL 3.